Adult plumage has variable amount of reddish or pinkish buff on face, throat and upper breast. 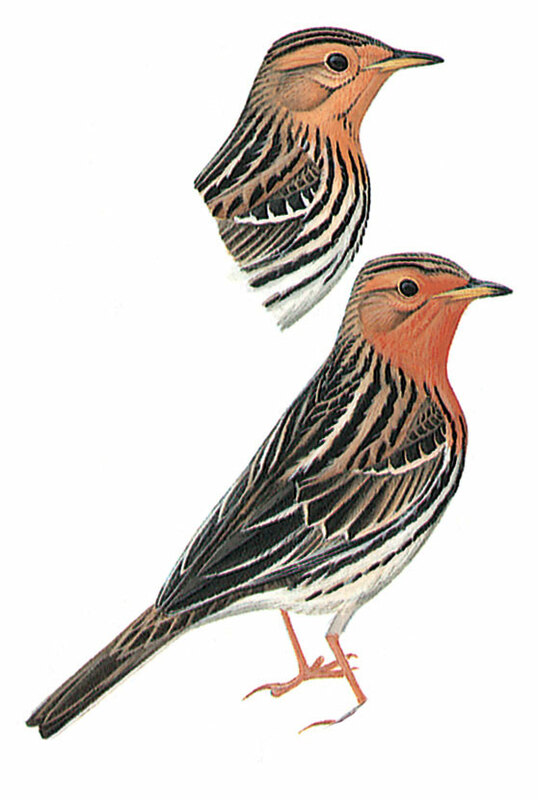 Plumage varies during summer and first winter regarding throat and breast colour, streaked rumps, flanks and stripes. Found in grassland, cultivated lands and marshes near water. Categorized in Qatar as passage migrant and winter visitor.